This is the new flagpole at the Ripon VFW Post #1051 raised this week honoring all service veterans. How's the recession treating you? Not so great? Worried about your finances? I have a thought - have you ever considered panning for gold? It's an idea more and more people are embracing! 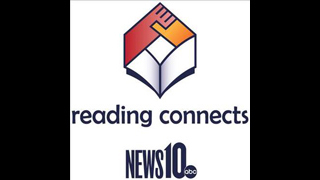 There are still some spots left for News10's free "Blogging 101" workshop in Stockton on Tuesday, May 17. Register now! Have you always wanted to start a blog but don't know how? Or do you already have a blog but want to learn how to make it more successful? News10 is here to help! You're invited to "Blogging 101," a free workshop featuring Sacramento's social media guru Alejandro Reyes. The event will take place from 6 p.m. - 8 p.m. at the Greater Stockton Chamber of Commerce, 445 West Weber Avenue, Suite 220 in Stockton. TRACY - Grab your friends for the perfect Girls Night out in downtown Tracy on Friday, May 20, from 6:00 - 8:00 p.m. at the Tracy Transit Station, 50 East Sixth Street. A $15 ticket will get you a wine glass, wristband, hot pink tote bag and acccess to shop at over 16 "girls only" vendors. For an additional fee you can take Diva Memory Photos by Photographic Art Studio. Enjoy all of this while you wine taste and nibble on fabulous appetizers from Mongiamo Bakery and Specialty! Next stop, Bellisima, Elaines' Boutique and Vita Dolce' for more shopping and special discounts directly across the street. The party continues from 8:00 p.m - 10:00 p.m. at the Grand Theatre Center for the Arts, 715 Central Avenue, with DJ Entertainment, additional small plates, desserts and drinks available for purchase. Tickets are selling quickly and sell-out is anticipated.